The 20 children with unilateral CP were randomly allocated to a structured practice group with skill progression (10 children) or to an unstructured practice group without skill progression (10 children). Both groups participated in bimanual activities 6 hours a day for 15 days. Pre and post testing was completed where children performed a bimanual drawer-opening task using 3-D kinematic analyses. both groups showed improved temporal bimanual coordination with increased normalized movement overlap of the two hands. both groups showed decreased goal synchronization time. only the structured practice group showed decreased trunk involvement and increased elbow joint excursion with decreased variability. The researchers concluded that structured skill progression is important for intensive practice to improve trunk and arm control for children with unilateral CP. Hung, Y. C., Brandão, M. B., & Gordon, A. M. (2017). 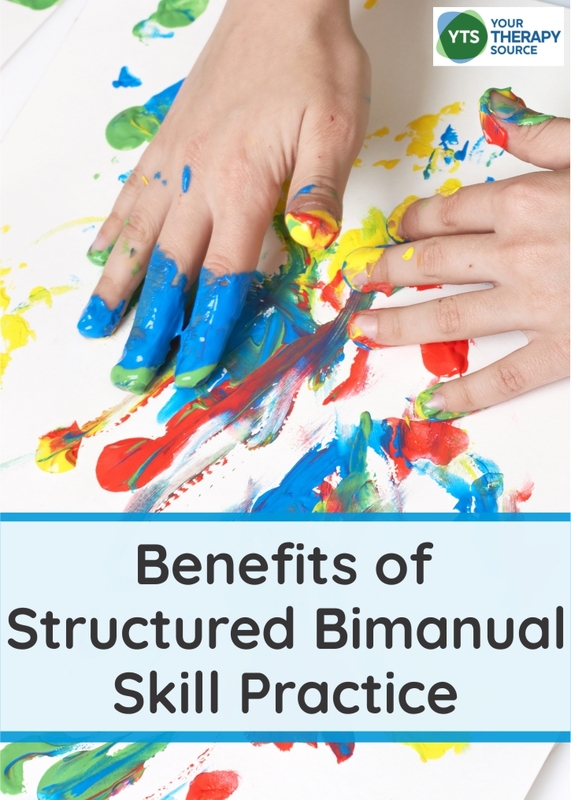 Structured skill practice during intensive bimanual training leads to better trunk and arm control than unstructured practice in children with unilateral spastic cerebral palsy. Research in developmental disabilities, 60, 65-76. 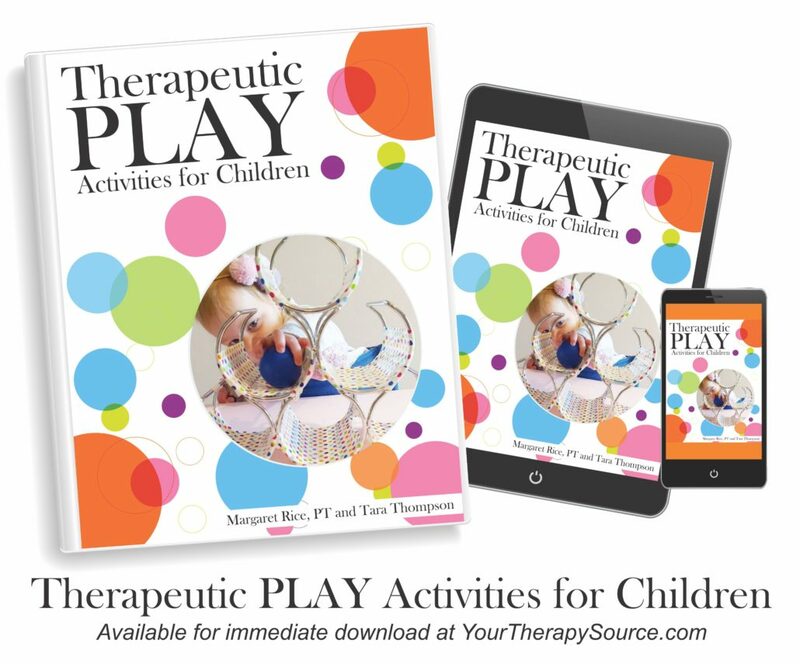 Therapeutic Play Activities for Children digital download includes 100 play activity pages and 12 tip sheets. 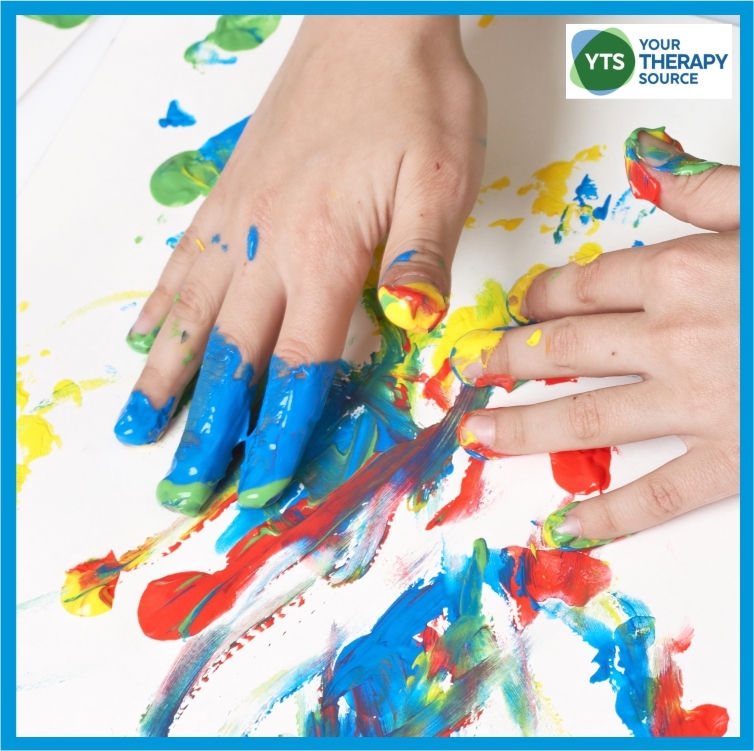 The play activities encourage the development of fine motor skills, bimanual skills, rolling, crawling, tall kneeling, standing balance and cruising with a strong focus on children with cerebral palsy. FIND OUT MORE INFORMATION.